Going through my own files this past weekend, I discovered my own queer history with an article in The Gauntlet that came out 20 years ago this month. I was a student at the U. of C. and I remember the furor that erupted over this very clever and subversive activist move. The idea was to wear denim if you supported gay rights. 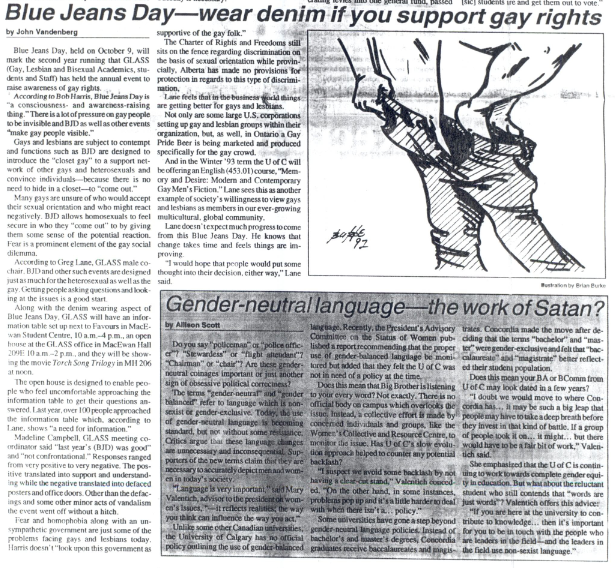 Blue Jeans Day started at U of C the year before, but the profile in its first year was low. For some reason 1992 was the year that its profile blew-up. Since the majority of students were wearing jeans on any given day, it created this interesting mind-bomb. Are they really supporting gay rights or just oblivious to the event? Many queers and their allies were cloaked head to toe in denim (I myself remember having to borrow some jeans from a roommate). Many others were visibly pissed off. I remember a number of guys who had pulled out dress pants or khakis from the back of their closets, determined not to show support, despite wearing blue jeans most regular days of their life. 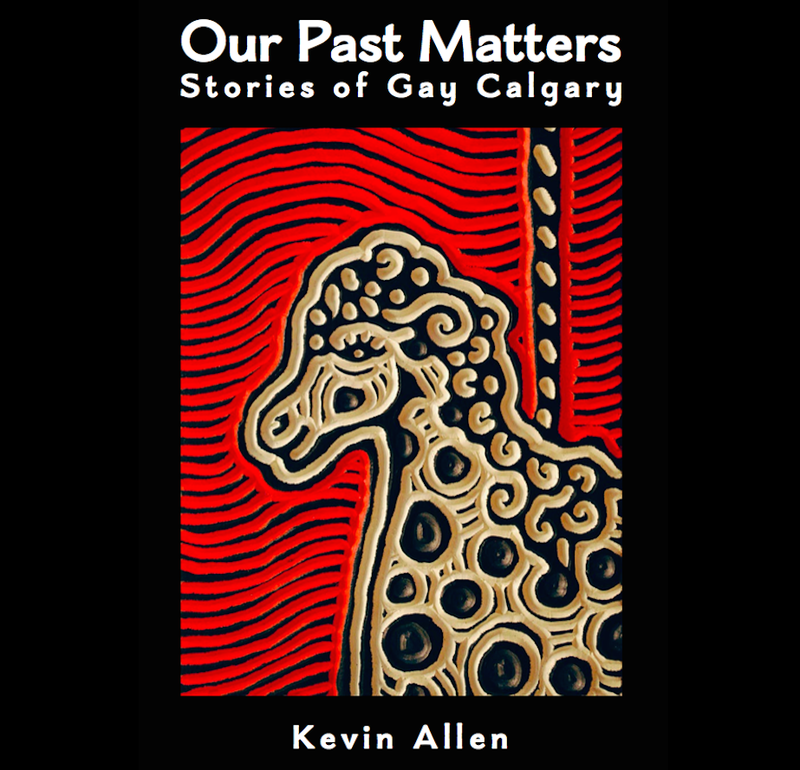 This entry was posted in Gay history and tagged blue jeans, Calgary, Gay history, human-rights, queer, The Gauntlet, University of Calgary. Bookmark the permalink.